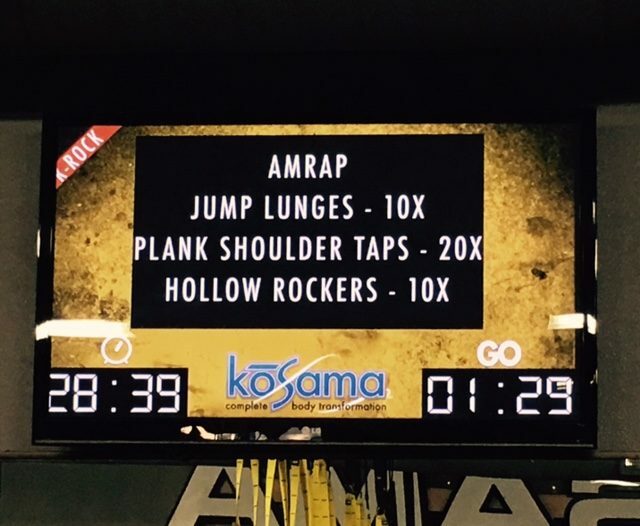 There are many reasons I love going to my Kosama gym. Too many to list, really! One of the biggest is that I am told exactly what to do and for how long and for how many times. By the way, AMRAP stands for ‘as many reps as possible’. For years I worked out at a gym on my own and I never really pushed myself. At Kosama I am pushed farther than I ever think I can go. 1)The trainers are great motivators. 2) The training is very clear. The training is really a system, if you think about it. I think it’s fascinating how much easier everything is with systems. When I was a mom of 5 kids systems saved my life. Schedule administration time, marketing time program development time, etc. For me, life and business is easier and I experience less stress when my systems are in place and I know what I have scheduled for me to do that day. Just like at Kosama, I know exactly what to do. Do you use systems in your life? How do they save you?! If not, what system should you start with? !